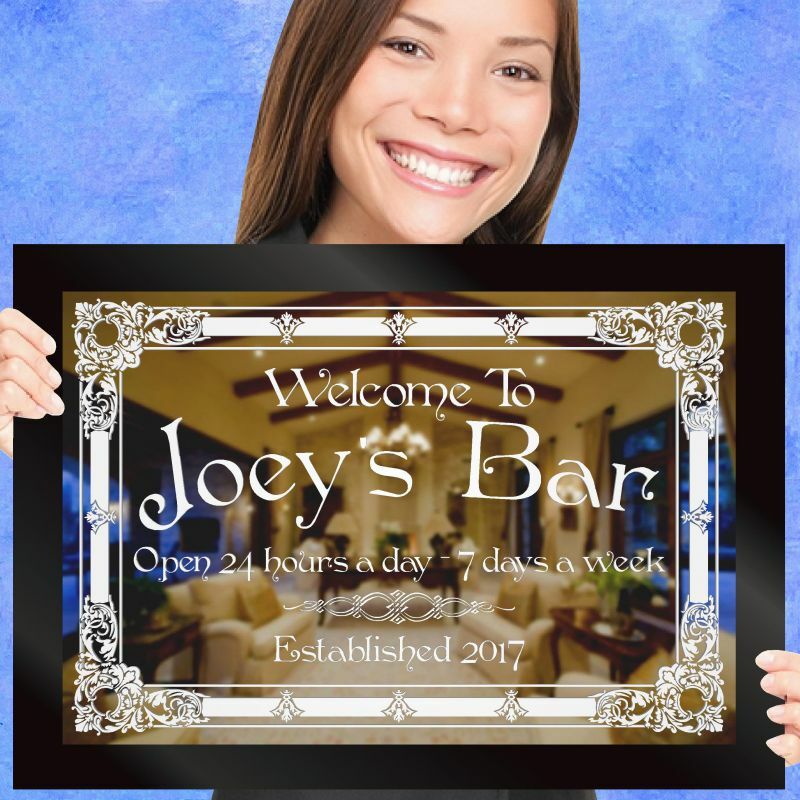 An old-style, framed bar mirror personalized with the name of the owner, the year it was established and ‘Open 24 hours a day – 7 days a week’. Size: 20″x14″. 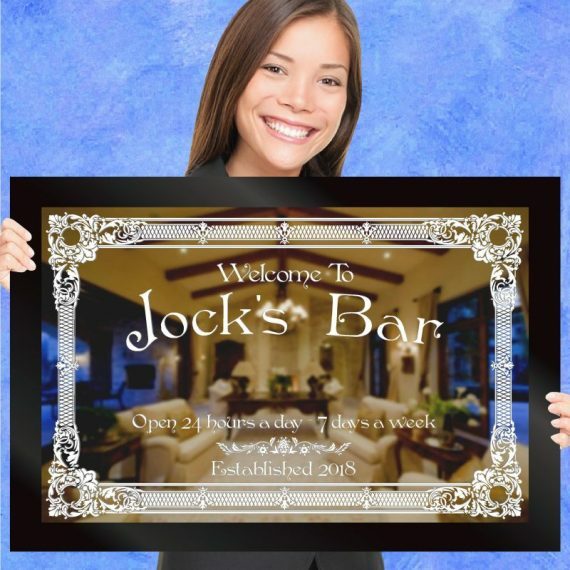 This mirror is designed to give an old style feel to a home bar. 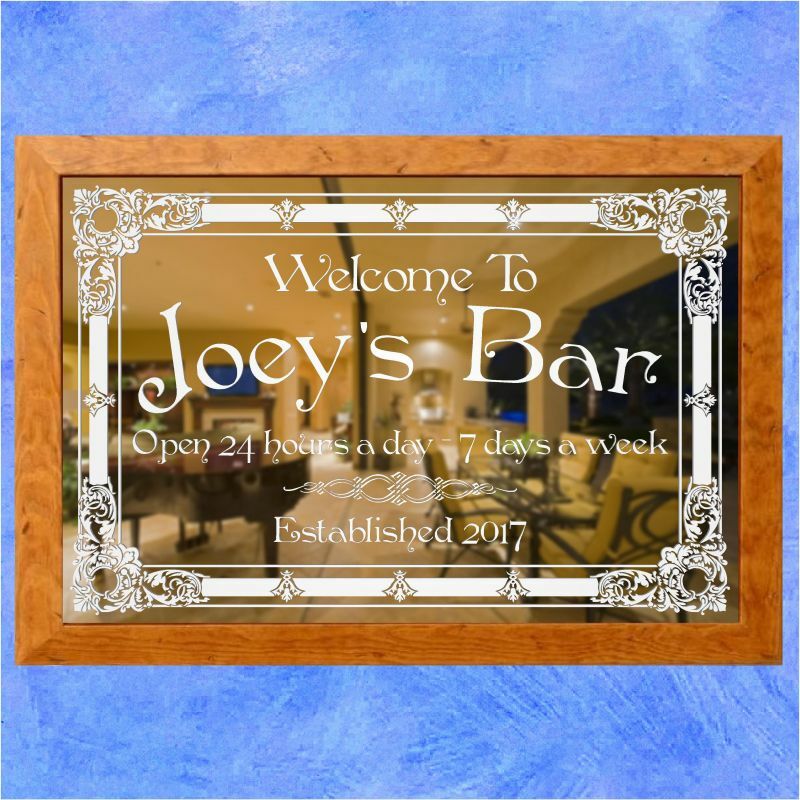 Measuring approximately 20" wide and 14" high, the vintage border design and lettering are etched into the front of the glass to give that silvery, traditional finish associated with classic public houses. 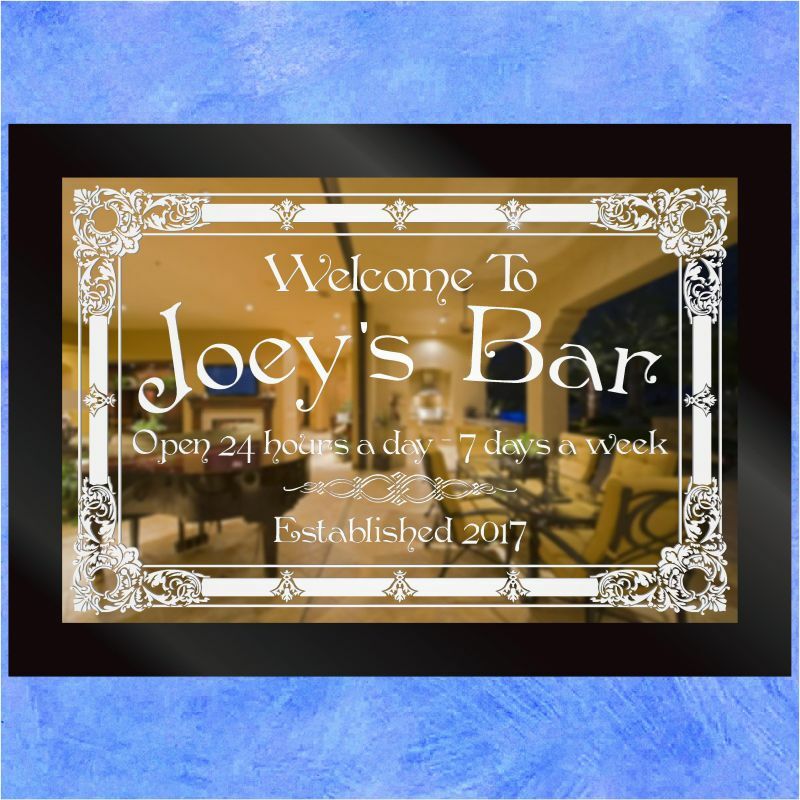 With a 'WELCOME TO' greeting at the top of the design, we add the bar owners name in large lettering to leave nobody in any doubt who is in charge! 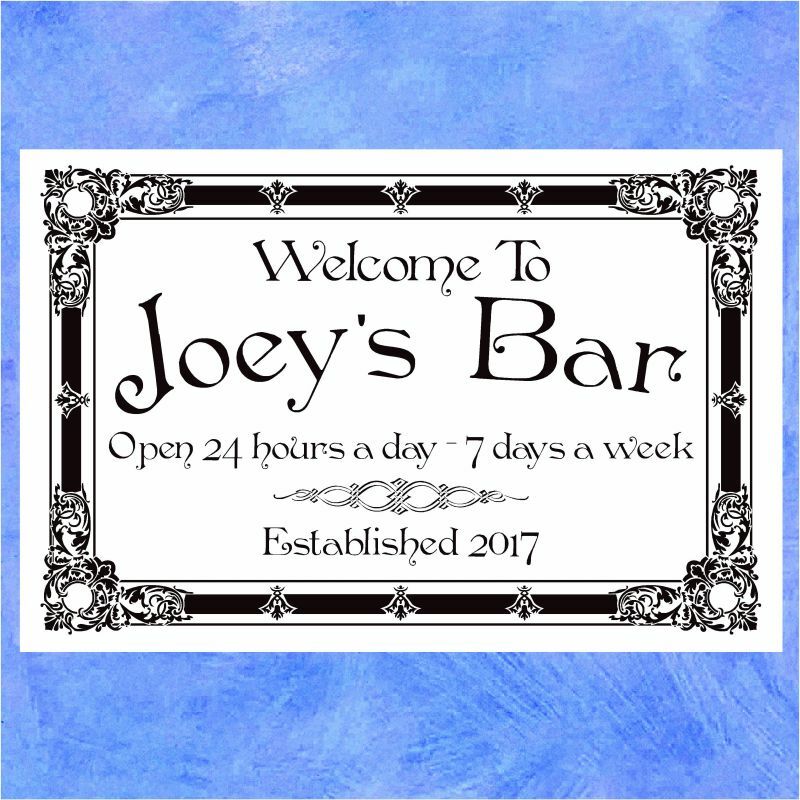 The line 'OPEN 24 HOURS A DAY - 7 DAYS A WEEK' tells the patrons that this bar never closes. We then finish the personalisation of this sandblasted engraving by adding the year the bar was established. 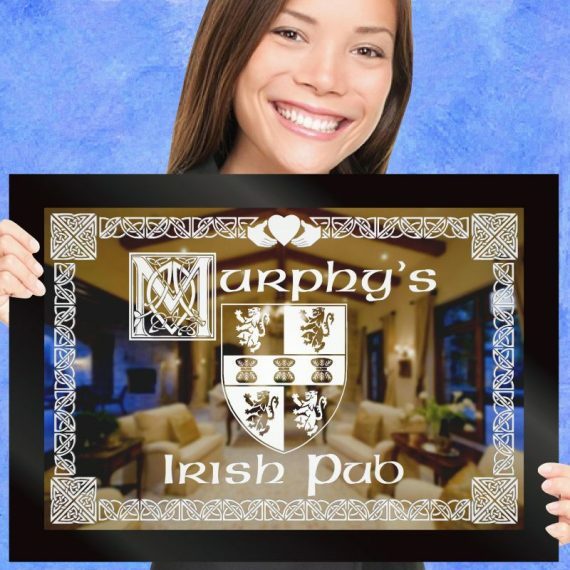 Surrounding the text is an intricate border design with a floral appeal to it to finish off a perfect gift for Dad's birthday, Father's Day or simply a gift for yourself!